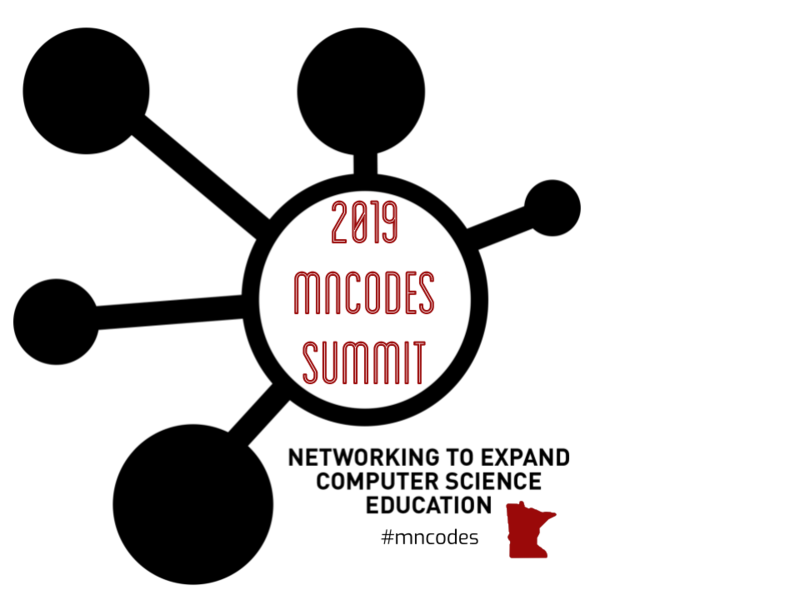 Our 4th annual MNCodes Summit will take place on May 16th, 2019 at The University of Minnesota, Twin Cities Campus. The aim of this Summit is to provide a space for educators to share their knowledge, passion, and resources around computer science in education through hands-on and interactive sessions, as well as to advocate for the integration of computer science across content areas as a way to build important, lifelong skills for all students. ​Our goal is to draw educators, administrators, community education staff, lawmakers, and other stakeholders to join in our vision of making Minnesota a leader in computer science education. The Summit is an initiative of Code Savvy and is the culminating event for the MN Coding in the Classroom Leadership Cohort. The MN Coding in the Classroom Leadership Cohort is an initiative of Code Savvy, a local not-for-profit. Our cohort consists of approximately 35 K-12th grade educators from across Minnesota who meet monthly to develop a network of knowledgeable, visionary educators who strive to make Minnesota a leader in computer science education. We aim to empower all students to become creators, not merely users, of new technologies. Click here to read more about our Cohort. Code Savvy is a 501(c)3 nonprofit organization that creates opportunities for kids, teens and educators to learn computer programming and creative problem solving. Started just 4 years ago, we already reach more than 1000 young coders and 200 educators each year, with programs including the MN Coding in the Classroom Leadership Cohort. CoderDojoTC, a free, friendly, mentored place to learn to code; Technovation[MN], bringing a global challenge to Minnesota involving small teams of young women that design, code and pitch original mobile apps; and the Northside Code Clubs, after-school coding opportunities for youth in target neighborhoods.